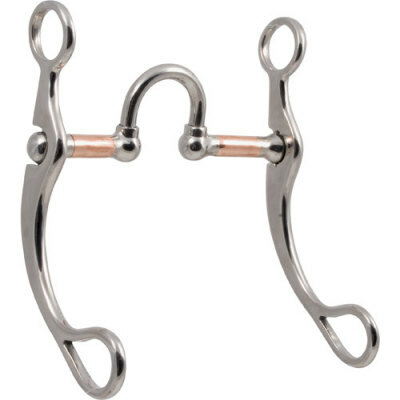 Beautifully handcrafted bits are ideal for all training and show needs. These bits are made with heavy stainless steel so they won’t rust and with all the quality of workmanship of bits that are twice as expensive. 1¾” correction with copper bars, 7” cheek. 5” mouth.